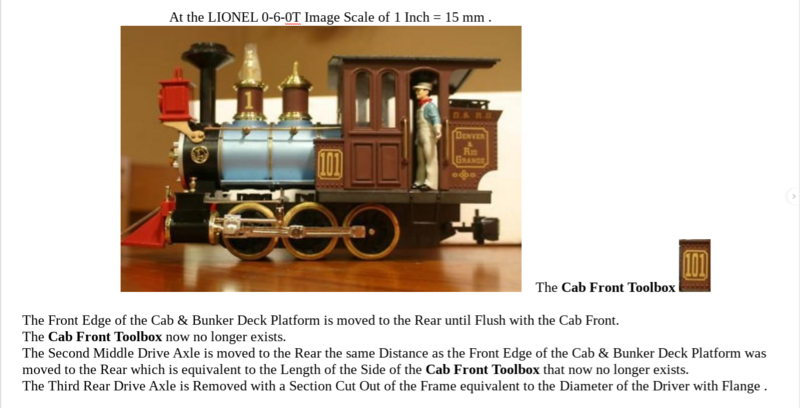 at Gauge Number Zero ( O Gauge ) as a Freelance 0-4-2T Gauge 30 Inch Locomotive by Norman Bourgault . 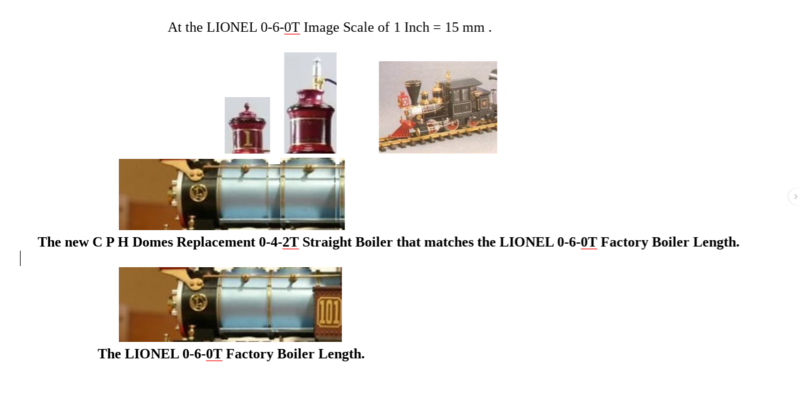 The DELTON - LIONEL 1:24 Scale 0-6-0 T is a Freelance Model of the Gauge 24 Inch BILLERICA & BEDFORD RAILROAD " PUCK " 0-4-4 T .
For years I have been fascinated with this Delton Locomotives Works never placed into production Southern Pacific 0-4-2T Freelance locomotive. This is my interpretation of that Delton Product as drawn by myself through the editing of Internet Images. 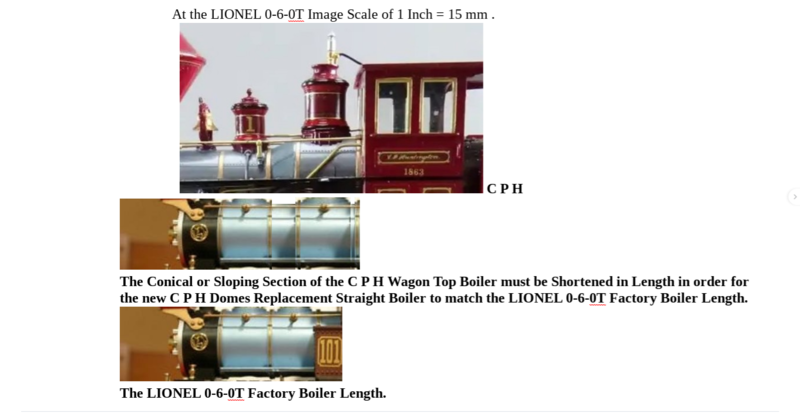 These edited Internet Images are a " Proof of Concept " which I will forward to a Custom Model Builder to manufacture the model for myself.